Mr. DeGeare is a Principal and founder of the Tampa office for Bernstein Global Wealth Management. He is responsible for advising U.S. as well as non-U.S. based affluent families and institutions and their respective trusts, estates, foundations, endowments and/or pension plans. Mr. DeGeare, in conjunction with Bernstein’s New York based research and Wealth Management Group, works closely with his clients’ trusted tax and legal advisors on all matters, including tax and estate planning, insurance, concentrated stock positions and the sale of privately held businesses. Prior to opening the Tampa office in 2004, he helped open the Miami office. 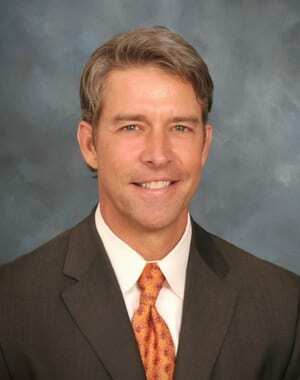 Mr. DeGeare joined the Bernstein firm in 2000 and was originally based in Palm Beach. He and his local team of Charter Financial Analysts, Certified Financial Planners, and caring team of licensed staff, work closely with clients to understand and achieve their financial goals, often times working across multiple generations. Prior to joining Bernstein, he worked for Cordis Cardiology, a Johnson & Johnson company, structuring finance contracts with major health care organizations such as Premier, VHA, and Columbia. Prior to J&J, Mr. DeGeare served in the United States Army as a Tank Platoon leader and Reconnaissance Scout Platoon leader, retiring as a Captain after finishing his military career as an instructor. Mr. DeGeare graduated with a B.S. in Management and a minor in Systems Engineering from the United States Military Academy at West Point. He is an Airborne Ranger and is both scuba and skydiving certified. Jay lives in St. Petersburg Florida with his wife of 25 years, Christi and their two children. He is a founder and active member of New World Angels (a Florida angel investment group). He is past Chairman of the Investment Committee as well as the Strategic Planning Committee for Shorecrest Preparatory School, past President of the West Point Society of South Florida, on the Steering committee for the Flight 93 Memorial Foundation, volunteers as a Hope Coach for Dawson McAlister Live, and is active in philanthropy in both his community and with his clients.